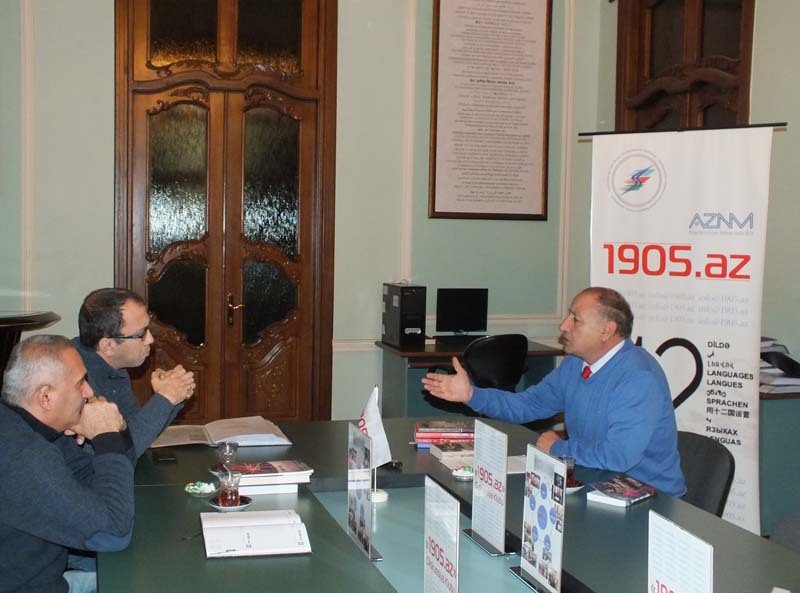 Today`s interlocutor of 1905.az is Prof. Musa Gasimli, MP, Doctor of Historical Sciences. 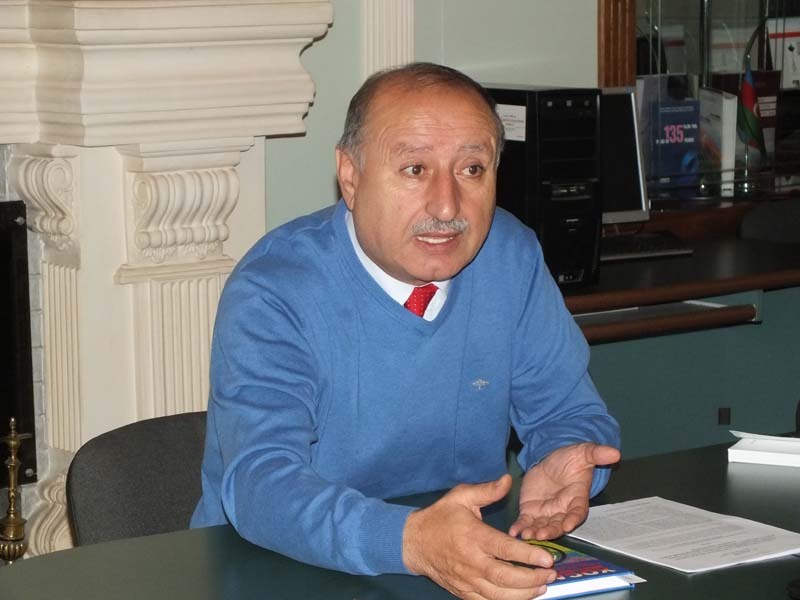 Famous Azerbaijani historian, author of the book “Khojaly genocide: causes, implication methods, and results” Boran Aziz has answered to the questions of “1905.az” website. – Mr. Boran, in the beginning of the 90s, USSR dissolved. At least, 2 illusions were eliminated in those years. One of these illusions was eliminated on January 20, 1990. Since, there was a belief that soviet soldier would not fire soviet citizen. Elimination of the second illusion coincides with the innocent night, in which Khojaly genocide took place. Since, due to the limitation of our memory, we did not suppose that Armenian community would fire kids, women, helpless people and kill them brutally. However, Khojaly apparition destroyed our illusion. – Thank you; it is a very interesting approach. Firstly, let me tell that, as you mentioned, Khojaly genocide is not the result of impulsive actions of a group of spontaneous, random and blockhead people. It was a complementary part of the plan, which was planned seriously beforehand, and this plan was not only drafted on the eve of the Khojaly genocide. It is very interesting that 366th infantry regiment, which participated in the genocide, was moved from Ganja and accommodated in Khankendi in 1985. But why? There was not any incident in 1985. Nothing was foreseen. It means that they were aware of the processes in the southern border of the USSR that would take place in future. Another issue is related to the dissolution of the USSR in the end of 80th and struggle of different republics for independence. USSR on the one hand was jealous about this process, but there is an interesting fact that, although it is very confused, on the other hand he supported these processes. In general, Khojaly genocide is the part of our Karabakh tragedy. In other words, it is a part of politics of the USSR against Islamic and Turkish world, Eastern nations. As the establishment, political and military leadership of Russia noticed gradual dissolution of the USSR, inability to prevent independence of those republics; he tried to hold the processes under control by causing quarrel among nations. It is very interesting that on the other hand the powers wishing breaking up of the USSR were also interested in this process. Actually, we did not confront to Armenians as some people said. We were the victims of two great powers, of the plan drafted by their special institutions. – You mean the powers trying both to destroy and protect the USSR. – Completely true. Results of our researches indicate the reality of this claim. – As a result, powers trying to destroy the USSR won. – The powers trying to destroy the USSR won. Although we tried a lot by writing documents therein, unfortunately, even today, they do not want to see the brutalities caused by Armenians. Actually they know, but prefer to ignore. Since, Armenians have done a lot for them. In other words, they say that “we destroyed the USSR, now pay for this”. However, they play a role of fore post for Russia. It means that they carry dual functions simultaneously very well. As well as, historically, in Caucasus they had an image of miserable, humble and oppressed nation fighting against Islam, which is considered a threat for Europe. That’s why; firstly we should perceive the seriousness of the powers we face. So, it is impossible to remove the enemy with baton, or by shaking newspaper or by giving proper answers to them. To prevent the independence of Azerbaijan stands in the center of all those issues unambiguously. As Azerbaijan tries to preserve its independence, always there is an attempt to deviate it from its road and restore dependence status, or turn it into dependent territory or oblast. – Mr. Boran, I have a question. Which of the camps did Mikhail Gorbachev belongs to? There are some notions that Gorbachev, as an agent of West, contributed to the dissolution of the USSR a lot. – Of course, for claiming it we do not have any fact, but we have logic. If we look through his political course, we can see that there was a serious connection among them. Firstly, his politics in Kazakhstan. After exchange of Dinmahammad Ahmadovich Kunayev with drunkard Kolbin inevitable incidents took place therein. Later, he continued same strategy in Georgia, Moldova, Ukraine, in 1989 in Baltic and other countries. Following, in Dagestan and Azerbaijan. Therefore, we can talk about some expedient politics here. It was not a random issue. That’s why, USSR leadership during these activities roused Caucasian issue. Let’s take Balkans. Actually, firstly, those strategies were implemented in Balkan countries for dissolution of the USSR. The mistakes done in Balkans were eliminated in the USSR issue and they achieved the expected result. 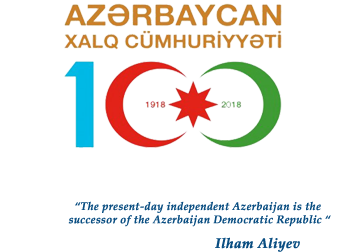 During this wave, independence movement began in Azerbaijan as well and there was a struggle for independence. There was a need to punish the nation in order to avert them from struggle and close this topic once and for all. That’s why they generated mini Khojaly on January, 1990, in Baku, as you mentioned, later moved to Meshali and Garadaghly in Nagorno Karabakh. – This tragedy happened in Garadaghly 10 days before Khojaly. – Completely true. After these slaughters, as they saw that people did not renounce their desire for independence, increased degree of brutality to shock people more. Now, it causes anxiety among us if there would be any chance to avoid Khojaly genocide. Unambiguously we can say yes. However, people should be abandon from their independence. They had to accept to be a part of our southern neighbor again. In those times, neither this nation, nor political figures could dare it. Nation also did not want it. 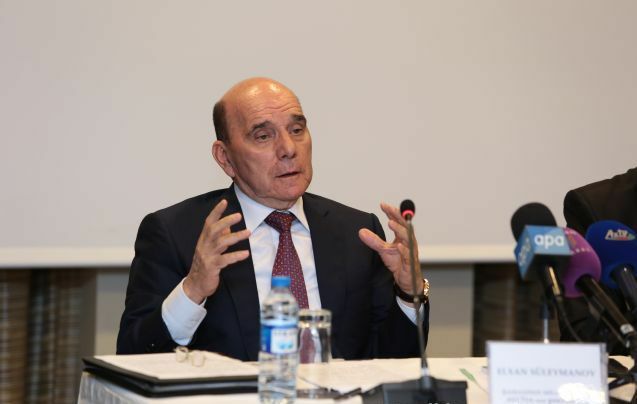 – Mr. Boran, which role did play Khojaly genocide, which took place in the night of 25th February, 1992, in losing of our regions in the next stage? We mean the fear created by Khojaly. – Of course, it affected. Firstly, let me tell that during these incidents, I was also in the borderline of Khojaly with Mr.Tofig, lawyer of Baku State University. As the USSR leadership saw that Azerbaijan was not interested in membership of CIS, they preferred harsher punishment methods. 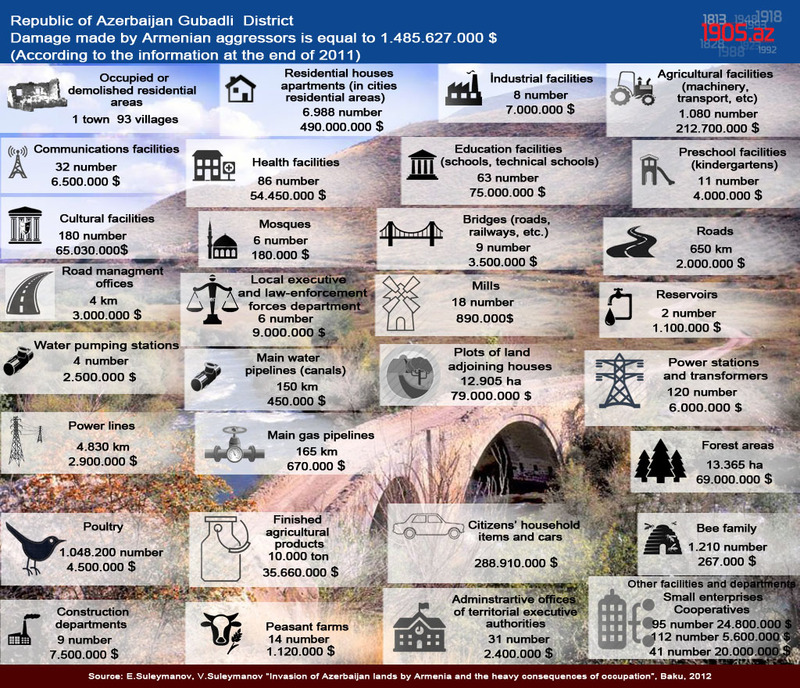 Khojaly and Aghdam have Shelli and Garadaghly villages. Tanks of the Russian Army were accommodated in Garagaya and were waiting for order to enter Khojaly. We can say that we also did not abdicate. We were keeping watch all the day to know if they attack, then we would move as well. That’s why, of course, Khojaly genocide directly created fear among people. However, I do not support blaming of peaceful local people, because the fight was between peaceful people and fully armed Russian army and Armenians within that army. I can compare difficulty degree of this tragedy with Ukraine. We do not talk about whether peaceful people were afraid or not. We should talk about standing face to face with armed army. That’s why people could not wake up from the horror of Khojaly in those days. Especially, I witnessed delivering of dead people to Aghdam and their washing in the mosque. It put a deep impact on me. For a long time, you hate yourself for being a human. You reproach yourself if you are worthy of life with this weakness. Later we understood that, of course, we are worthy to live, because aim of the enemy was to overcome us. That’s why you need time to digest everything and get out from shock. –Mr. Boran, let’s touch to another issue. Your book “Khojaly genocide: causes, implication methods, and results” and researches that, according to some parameters, can be compared with this book. As a professional researcher, historian how do you assess studying of Khojaly tragedy, which took place 25 years ago, and its consequences, by our historical and political sciences? -I unambiguously think that it should not be used as an internal and political tool. Since, to be honest, then we should fight each other rather than people slaughtered us brutally. It is one of the aims of the enemy. So, we should put this issue on one side. According to my understanding, people in Khojaly are those, who lost their lives for the independence of Azerbaijan. That’s why we should be thankful to them. I see Khojaly genocide as a heroic history written with blood. Also, I do not support physical hurting in the commemoration days of Khojaly. I think that it is, of course, a sad day. That’s why, according to my opinion, either Khojaly genocide, or other uncovered tragedies, like Meshali and Garadaghly, should be investigated more deeply. We should deliver it firstly to our people, then to foreigners. However, our claims should be based on facts. Additionally, we should emphasize an issue especially. If you notice, mankind celebrates victory over German fascism annually. However, they skipped a problem. Armenian fascism is more dangerous for mankind than German fascism. Because, German fascism did not destroy cultural heritage expediently in the territories they occupied, or peaceful people could live in the occupied territories. However, we cannot say the same for Armenians. Firstly, they realized “burned land” tactic. It was tested by soviet troops in Afghanistan. Armenians destroyed cultural heritage wholly, which was important for learning mankind history, creation of people, discovery of labor tools and study of social-economic relations with Middle East. Second aspect is about the fact that Armenians always stand next by powerful. Historically, we saw the same tendency during the governance of Sassanid and Arabs. For example, there was a letter by Armenian Catholicos Ilia to Caliph Abdul Malik in 704. It is very famous letter. This information was also given in writings of our researchers. In this letter, Ilia called Caliph to help, because Albanian Catholicos did not recall his name in his praying, but recalled the name Imperator of Byzantium. He asked for a troop to punish them and in 705, Caliph sent a troop and all governance was given to Armenians. However, later Armenians were the first community that betrayed Caliphate during its weakening period. When Seljuk came, Armenians immediately took place near by them. With the arrival of Mongols, Armenians showed weaknesses of Seljuk to them. During Safavi leadership and later they behaved alike. Today, international powers supporting Armenians should not forget that establishment, development and collapse of an empire is a logical consistency. Which empire does live forever? They must be sure that when they weaken, Armenians will also betray them and will play an important role in collapse of those countries and punishment of their people. We should direct their attention to this issue. If Armenians coming to Nagorno Karabakh demand territory due to the number of their people, Armenians living in California, Marseille, Kuban or Rostov will also demand the same. I think that we should emphasize this direction in our researches. We should explain them that we work for the mankind. We already witnessed a lot; we should wake them up that the civil world, powers intending to govern world order to perceive the threat they can face in future. 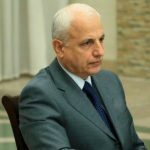 – During these 25 years, could Azerbaijani science manage to study of Khojaly genocide, not to deliver? – Firstly, let me say that, my students in Baku State University wrote thesis on this issue. Each year 10 independent topics are given to students. Absolutely, each year Khojaly and other genocides are given in the list of those topics for research. 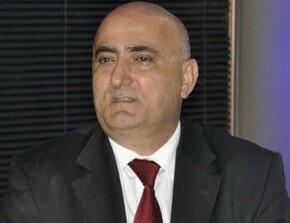 Of course, it is not true to say that researches or historical analyses have not been done related to Khojaly genocide. I think that it is on initial stage. – So, are we late? 25 years have already passed, but we are on initial stage. – Of course, we are late. 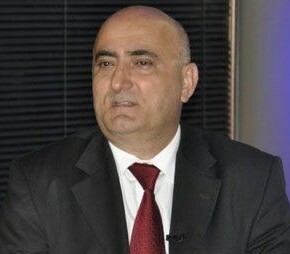 – What can we do to attract interest of foreign researchers to Khojaly? – Very proper approach. I am frank. Firstly, to be honest, I do not know whether there is a separate genocide center or not. – Do you mean a center learning Khojaly? – In general, a center learning genocides. Of course, a section of the center should be devoted to Khojaly genocide as well. One of the expedient tasks of this center should be to attract foreign researchers to genocide investigation. All conditions should be created for that foreign researcher. Also, it should be promoted in media that they have good conditions and are given grants. However, this issue has another aspect. While we are studying 1918 -March genocide, we use materials of Extraordinary Investigation Commission. Photos taken by them are undeniable facts, because these documents were approved by stamp and signature of the Extraordinary Investigation Commission. This material is about 3500 pages. In that period, this document in the form of 6 books and 95 photos was sent to Topchubashov in order to use it in Paris Peace conference. Since that time these documents have been protected in Paris. Now, I am turning to another point. All these tasks were done in that time period. 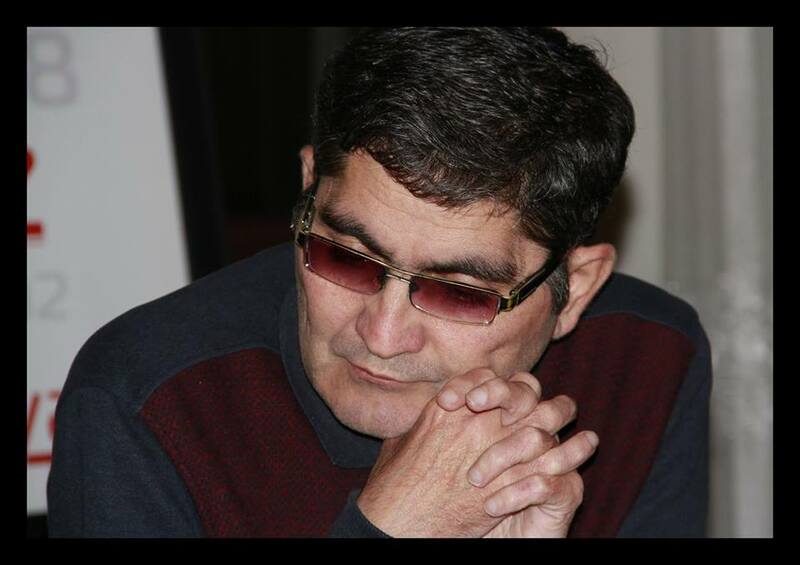 Witnesses of Khojaly genocide are passing away. Have we collected all the information in written form? No. Then how will we learn scientific facts tomorrow? Will we learn them from different fictions or poems? It is a problem. No one can do it? We do not want to get tired. I think the most important mission, before moving to abroad, we must collect all of these materials. It is important that to record names of witnesses of Khojaly by date and participation of the commission members. – Yes, these are testimonies. We can find them in different places. I don’t say that they are absent. For example, some of them are in the archive of Military Prosecutor’s Office and different people. These are separated and initial, crude materials for scientific use. However, materials should be stamped and signed officially as the documents of the Extraordinary Investigation Commission to avoid future judgments. 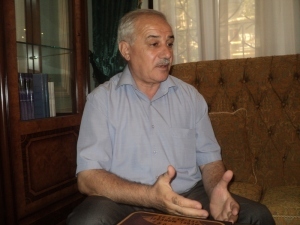 For example, they should not say that these documents do not belong to Khojaly, it is all about testimony of a woman living in Aran region and so on. All those documents should be scientific and legal aspects should be considered as well. – We are late on this issue as well. Since those people have been passing away. – On this issue we are late more. I wish that you will emphasize this issue in your portal and appeal to government organs for creation of a commission consisting of specialists and solution of it immediately. – We managed to present Khojaly. It is true that we have many problems on scientific area. However, despite this issue, world is aware of Khojaly, but Garadaghly tragedy, which can be compared with it, is left untouched. – Completely right. We took it into consideration and put a heading in our work and documents like “about people who were killed in Garadaghly”. Meanwhile, we did not gave the names of people accidentally, who were killed by Armenians during the wars in Garadaghly, in February 15-17, 1992. We presented this information in order to inform future generations that there is not any writing on this issue. They must engage in it immediately. – It will be a more difficult task. Is there anything about Karkijahan? – Ok, you are right. There are both Karkijahan and Khojavand issues. Khojavand is also one of the topics, which have not been investigated. Whereas, while former leadership of Azerbaijan were visiting there by helicopter to learn causes of genocide and slaughter, perished near Garakend village. We talk about the helicopter, but why this helicopter flied to Khojavand? There is no information about perished people therein. This case has started recently. However, details of this problem are very broad. A special group either should engage in this issue, or a separate researcher should be reserved and supported by the government officially to engage in it. We teach 5 days in a weak, and cannot work on this topic in 2 days. It is very difficult. That’s why, of course, I completely agree with you. You put the challenge right. This is mini Khojaly, a road to Khojaly. 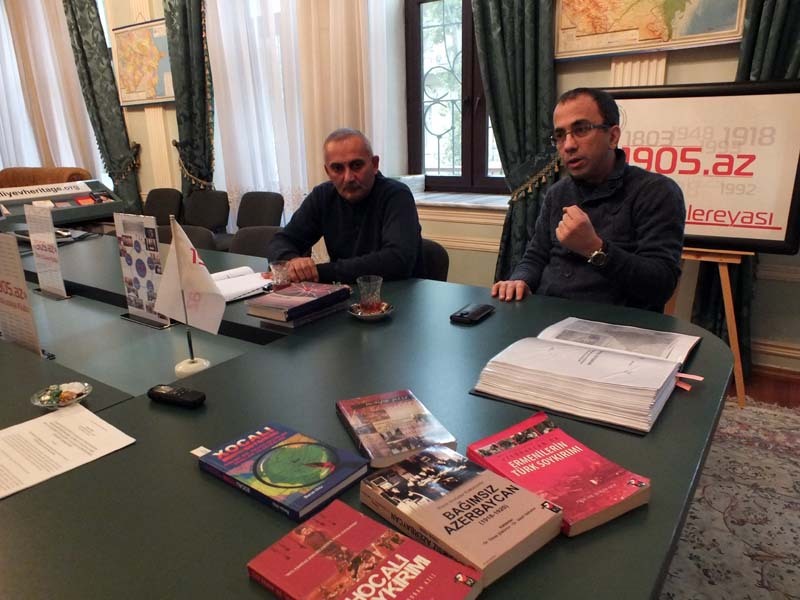 – If you have a chance to draft a roadmap for studying Khojaly, which matters will you include it? I mean roadmap of the tragedies in Khojaly and of the road to Khojaly. – Firstly, I will collect information about villages till Khojaly and in Khojaly incurred to genocide, and witnesses of those tragedies, and record their written and visual testimonies with participation of both historians and lawyers for future. It is important to have both lawyers and witnesses in order to prove its scientific legal aspect. – Like Sariyya khanum Muslim gizi. – Sariyya khanum already wrote on it. Indeed, she did a lot. Sariyya khanum lives this issue as a personal tragedy. As I mentioned before, materials in archives, even in current archives, which are also inaccessible for government archive, related to Khojaly genocide in later periods, are unavailable for us until now. However, of course, when they are on governmental level, we can use them as well. It is very important for clarification of implication causes of Khojaly genocide. For example, let’s say that we used a material written by Head Investigation office, which was used by another researcher. Since, officer of Head Investigation office wrote a report for both Ministry of Defense and political leadership. These reports, undoubtedly, are available in proper state bodies. 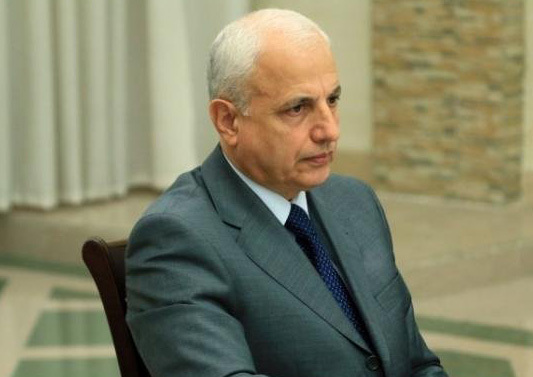 – We need to find and use these materials and, meanwhile, to attract interest not only Azerbaijanis, but also Russian, Ukrainian Byelorussian and European researchers. If it is possible to attract foreigners to mutual projects in the field of archeology, then we can do the same for these issues as well. That’s why, I will do it immediately.